Tatiana Cocerva and a number of the other Remediate ESRs went to ACS2017 this summer. Enjoy her great summary of the events they all enjoyed! Working hard setting up experiments, getting the expected results, and publishing your work in great journals are all key goals for a researcher; communicating your research at a conference is also a professionally valuable experience. 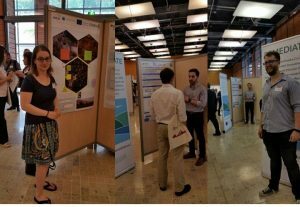 This year, REMEDIATE participants had the opportunity to attend the AquaConSoil Conference that took place in Lyon, France on the 26th-30th June 2017. This event brought together students, scientists, industry professionals, and policy makers from all over the world. Presentations covered the areas of sustainable use and management of soil, sediment, and water resources. Sabrina, Tatiana, Stacie, Panagiotis, Yi, Morteza, Diogo, and Neha (REMEDIATE Early Stage Researchers) presented their research to a wide audience in a special session “Improved decision making for contaminated land site investigation and risk assessment”, chaired by Professor Frederic Coulon (supervisor at Cranfield University). It was a very interesting session, after which we received valuable feedback and appreciation of our work. 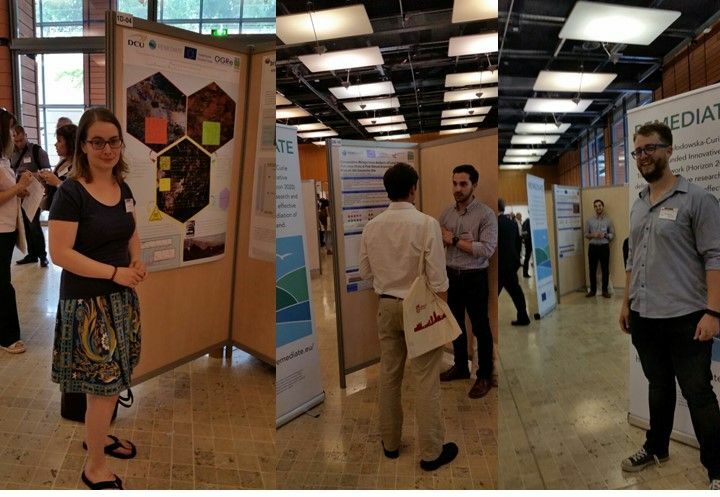 Ricardo, Coren, and Peter chose to disseminate their work in a poster session, where they actively engaged with other conference attendees, and exchanged ideas with many of them. Social events and informal meetings are the best way to create new collaborations and build new friendships. 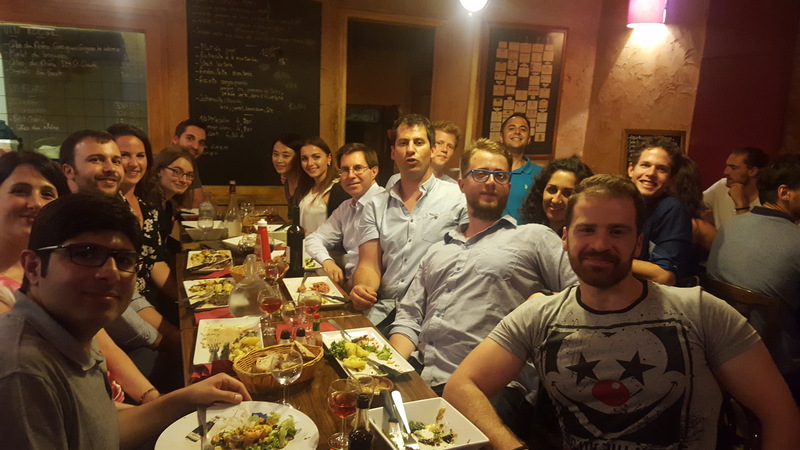 What can be more rewarding than having dinner with your colleagues after a full day of listening to interesting presentations and meeting nice people? 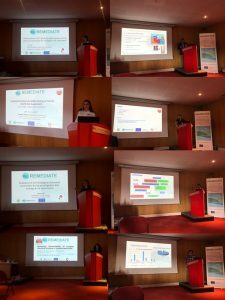 The REMEDIATE team added researchers and new friends from Italy, Germany, Netherlands, and Chile to its network. 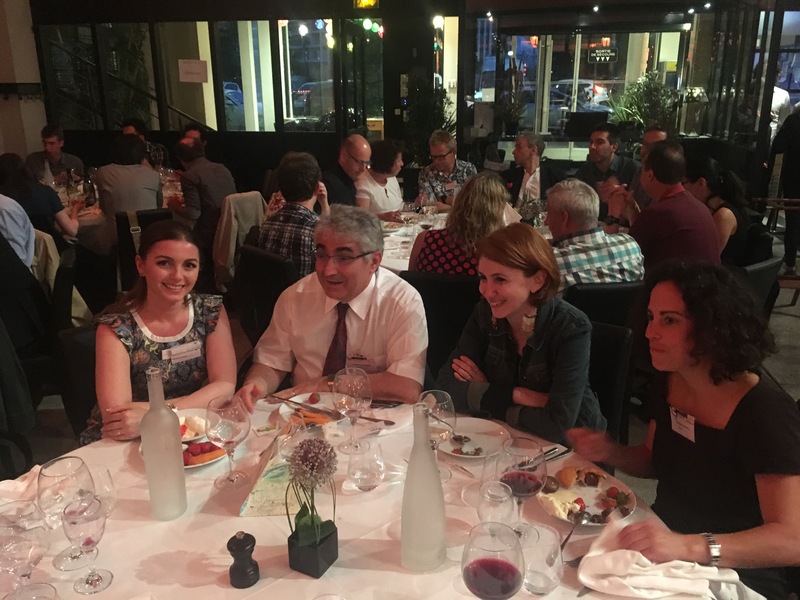 The conference dinner was organised in a friendly atmosphere where REMEDIATE supervisors and researchers socialised with different conference attendees in a relaxed, informal environment. 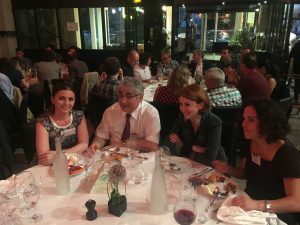 Tatiana engaged in interesting discussions with the team from BRGM (French geological survey), and found that they shared a similar network and friends in France. What a happy coincidence! After dinner, a DJ boosted everyone’s energy and we all remembered that professional people can combine research and fun. We are very grateful to all the organisers for this amazing, memorable conference. This was a great experience for all of us and we were inspired, challenged, and more motivated in our work. We look forward to attending the next conference with the same positive mood! 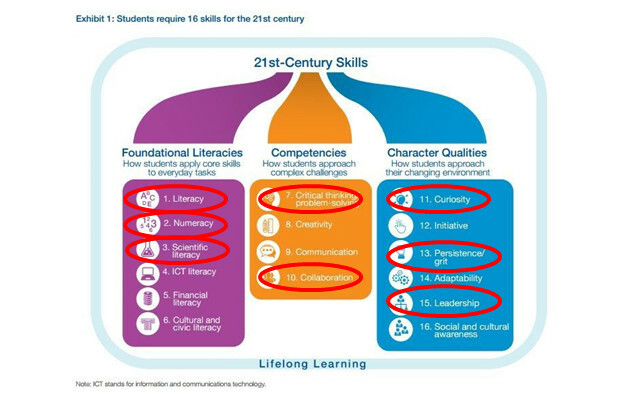 What skills/competences do you want to use? What values are important to you? What kind of career do you want? What type of work environment do you enjoy working in? How should your workday be structured? Prepare to jump: network your CV and cover letter and practice your elevator pitch! Regardless of our future in academia or not, the skills required to write an excellent grant application are highly transferable to writing up successful job applications. Throughout the day we received lots of good advice on the ins and outs of grant applications. Before starting the process of writing a grant or applying for a job position, strong emphasis is placed on reading the call, paying particularly close attention to the small subsections that describe the assessment criteria. It sounds silly to highlight, however, it seems to be one of the main reasons why applications are rejected. No matter how qualified the person or brilliant the idea, with a pile of imminent applications ahead of them, members of the panel are likely to be running on little to no sleep, and looking for reasons to shrink their pile. Grant applications are all about you, your network and your great idea! But what is a great idea, you may ask? The panel, which in many cases is comprised of 5% of researchers from your specific field vs. 95% from other related but different disciplines, want to understand your great idea! As a result, it is imperative to keep it focused, simple and concise. Many applications have very strict page limits (do not put anything in the appendices, the panel is not allowed to read them) but it is important to keep in mind that other people have the same restrictions as yourself, and so it is doable. Do not repeat the same information in the application as this is a waste of space and time for members of the panel. To save space, make use of figures and charts (e.g. Gantt charts) which can incorporate a lot of information in a small amount of space. 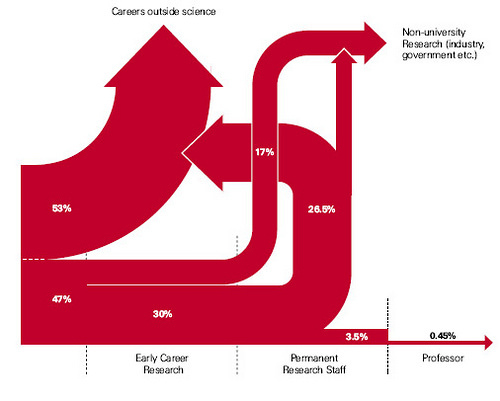 Applying for funding through industrial post-doctorate positions is another way to go. These are typically 1-3 year positions carried out by a recent PhD graduate (under 5 years after graduation in Denmark) that have an industrial focus. It involves teaming up with a mentor in a public sector institution (academia) as well as a mentor within a company. You are extremely cheap labor and therefore it is inherently benefitial to the company (and yourself of course) to have you there so don’t be intimidated to approach companies with your great idea. In addition, several databases and professional matchmaking clusters are available to graduates seeking these types of opportunities. Most importantly, industrial post-doctorate grant applications in Denmark resulted in a 50% success rate in 2016 and a predicted 45% success rate in 2017. This is significantly higher than grants awarded for post-doctorate grants in the public sector. These positions can also serve as a foot in the door and a stepping stone to a more permanent position within the company. Other speakers throughout the day highlighted the importance of moving away from your supervisor and going abroad. This, at least in Denmark, seems to give you an edge over other candidates as you are not only developing your skills as a researcher and broadening your perspectives/ideas and visions, but also developing an international network which makes you very competitive. Debate was underway regarding the ease of movement once established with a family, however with proper preparation, one speaker even moved her entire family including children to another continent. The importance of finding good mentors along the way was empahised on several occasions. These mentors can advise you on scientific matter, introduce your to relevant networks and people and help you understand the mechanisms and unwritten roles of funder organizations such as the public, private and research councils. Finding several different mentors along the way is also a good idea as they can advise you and teach you different approaches, skills and techniques. You will, of course, benefit in different ways depending on the mentor but finding at least one mentor that has the same interests/visions as you will be extremely valuable in the long run. Lastly, it is absolutely crucial that trust and honesty is built between you and your mentor. It is imperative that your mentor is able to tell you some hard truths along the way, if required. 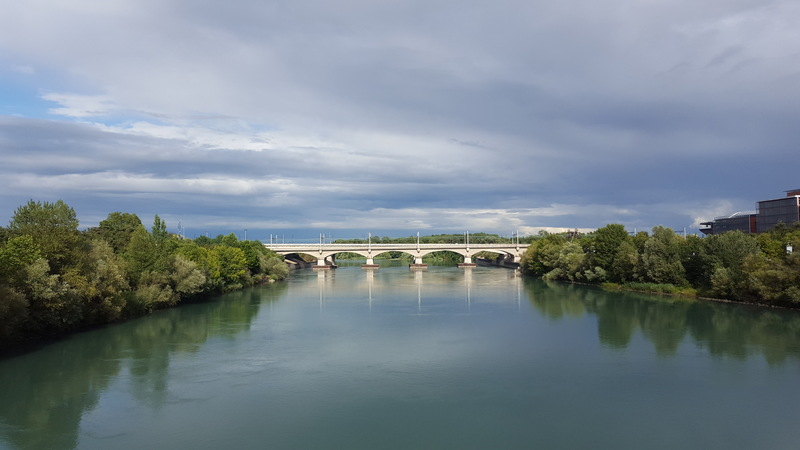 It is important to understand that positions in academia are exceedingly competitive and there is some value in building a generalist profile, which can be adapted to several positions in different institutions. Instead of specializing very narrowly in a certain area, it may benefit you in the long run to have a profile and track record that is flexible. As such, adaptability is crucial. It is also important to build a personal brand and work on your 30 second elevator speech. People want to know what you do but will quickly lose interest if you go into too much detail. If you are able to boil it down to several simple keywords/buzzwords, people will be able to categorize you, put you in a box and ultimately, shuffle you from one box to another depending on their needs. As academics, branding may seem like something that belongs in the business world, but try to think of it as being a recognizable expert or specialist in “blank” discipline. As your “brand” grows, this may open up new opportunities in the form of interviews, publications, podcasts, invited speaker talks and even local TV gigs and most importantly, new collaborations. The most important advice we received that day was to be passionate about our work and to love what we do. Without this, success, whether that is through the academic route or otherwise, will be fleeting and somewhat anti-climactic. Needless to say, I walked out of the room feeling inspired and with a sense of urgency to get to work, be innovative, take risks and enjoy the ride! 1. Taylor, M., B. Martin, and J. Wilsdon, The scientific century: securing our future prosperity. 2010: The Royal Society. 2. Forum, W.E. New vision for education: Unlocking the potential of technology. 2015. World Economic Forum, Geneva, Switzerland. 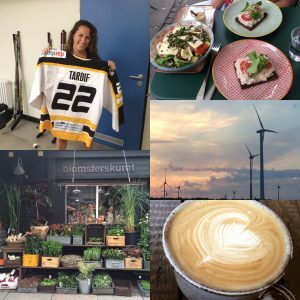 A couple of months ago, I made the big move to live in what has been dubbed the happiest country in the world: Copenhagen, Denmark. As I researched what life would be like among the descendants of the Vikings, I had a hard time understanding why it was voted as such. Most people spoke of rainy and windy weather, impossibly high taxes, housing shortages in the city, resulting in sky high rental prices, and the direct and often cold approach of the Danes. Needless to say, I threw caution to the wind, packed my overflowing suitcases and crossed the Atlantic to embark on this newest adventure. Today, already a few months into my life as an adopted Dane, I am delighted to say that I am beginning to truly understand and appreciate this country for all that it has to offer. I have found a beautiful city, with remarkable people and an amazing culture here in Copenhagen. The city is charming and warm, with hipster cafes, delicious Danish pastry bakeries, gourmet restaurants with locally sourced produce, and specialty artisan boutiques. Copenhagen is especially breathtaking at twilight, when the amber rays of the sun catch the water from the lakes in such a way that I am stricken by the city skyline reflected back at me. Despite warnings that it could take up to a year to receive a dinner invitation from a Dane, I have successfully managed to weasel my way into people’s homes and hearts, with the warmest of welcomes. Although direct in their approach, Danes resolve issues and conflicts swiftly and efficiently, which is something I have come to appreciate. The one thing I can’t seem to work out, however, is how Danes remain so slim when they eat so much cake! Cake for breakfast, lunch and dinner seems to be their motto and who can complain? Kage, Danish word for cake, was probably the first Danish word I was taught and I have been getting a lot of use out of it since then! Perhaps it is because Danes of all ages, from 4 to 80 years of age, bike everywhere, rain, snow and hail notwithstanding. As such, I have come to realize that waterproof mascara is just as important in this country as Vitamin D. With limited space and resources, Denmark has grown to be environmentally conscious – both in policy and in culture, which I have come to greatly value and revere. Although taxation rates are high, working here as a researcher provides good benefits, high quality of life, and most importantly, a great team of scientists to collaborate with and learn from. All things considered, my current status while living in Denmark is, very happy!